Key Appraisal Services is owned and operated by David P. Bouverat, SRA. The firm was started in 1989 and over six thousand appraisals have been performed since then. In addition to being a state certified residential real estate appraiser, Mr. Bouverat is also a licensed real estate broker and has extensive knowledge of the Sarasota/Manatee County real estate market. Mr. Bouverat has met the continuing education requirements of the Appraisal Institute and holds the SRA designation. The SRA designation is held by real estate appraiser professionals who have experience analyzing & evaluating residential properties. Click here to learn more about this appraiser's professional designation. Key Appraisal Services serves Sarasota County Florida. Providing appraiser services from Sarasota to Venice. Including Lakewood Ranch, Longboat Key, Lido Key, Siesta Key & Osprey. 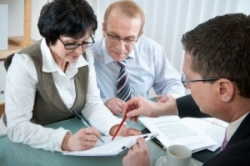 Clients include many lenders, banks, attorneys and private individuals. Areas of expertise include appraising homes and property on the water front and homes located in the area's many golf course communities. If you would like to have an appraisal done, please contact David at 941-363-0808, or send a message via the Contact Us form on the right. We will return your call promptly and answer any questions you may have. If you would like to have a home appraised, please contact David at 941-363-0808, or send a message using the Contact Us form below. We will return your call promptly and answer any questions you may have.